A new study from Washington University School of Medicine in St. Louis could eventually help workers injured in workplace accidents in Miami and other cities. Dr. Ann Marie Dale and her team of researchers are looking at ways to reduce the instances of back, knee, neck, and hand injuries sustained at work sites. According to Dr. Dale, participatory ergonomics may be one way to reduce instances of construction site injuries, specially injuries affecting the nerves, muscles, and tendons. Participatory ergonomics allows employees to select the work practices and tools they prefer when doing their job. According to Dr. Dale, allowing workers to have more say in work practices and tools and getting safety representatives as well as construction contractors involved in the decision making process can help create and improve safety as well as safety training. As part of the study, researchers worked with construction site workers who were lifting pieces of sheet metal duct, cutting the metal, and inserting screws into the ducts using screw guns. The work was repetitive and involved heavy lifting as well as standing for some periods of time. With Dale’s encouragement, the workers took part in six weekly “tool box talks” meetings where posture and ergonomics tips were shared, as was information about choosing tools and pre-planning tasks. According to the researchers, the workers participated in the talks and responded well. In some cases, they changed the way they completed their job tasks and in most cases became more aware of injury risks. Dale and her team hope to take the research and participatory ergonomics tools to other job sites. One challenge may be that construction sites in Miami and other cities are often fast-paced environments, so taking time out to discuss a different way of completing work tasks may not always be welcome. The researchers acknowledged that it was a challenge to find one construction site open to the participatory ergonomics idea, so making changes might involve some obstacles. The research is intriguing, though. Could participatory ergonomics help prevent injuries and workers compensation claims in Miami and other cities? If workers were able to prevent even some amputations, crushing injuries, and other serious injuries as well as fatalities the effort might well be worth it. Surely, weekly meetings are well worth the reduced risk of injury and death. It does seem as though the first step is a change in the way that workers and their employers see worker participation. If you have been injured on a construction site in Miami or any other community, you may want to consult with a local personal injury attorney. While you may assume that your employer or insurance will cover the costs of your injury, there are many important reasons why you will want to speak with a lawyer before making any important decisions in your case. 1) Workers compensation in Miami and other cities may not cover all the costs of your injuries. In many cases, there is a cap on payouts and insurance coverage is limited. If you have sustained a serious injury that will require months or years of healing, workers compensation and other insurance may not cover all the lost income and medical costs of your injury. Any costs not covered will need to be covered by you. Also, keep in mind that if you do accept any insurance money you may be signing away some of your rights to pursue legal action later. Because of this, it is important to consult with an attorney soon after your accident – before you make any decisions or sign any paperwork. 2) Injuries on construction sites after often preventable. Incorrect supervision on Miami construction sites, product defects, and other issues often cause these workplace accidents. Since these accidents are preventable and caused by recklessness or negligence, holding the responsible parties liable is important. It can not only provide a sense of closure, but it can also help bring about important safety changes so that others are not harmed in a similar way. 3) There may be multiple liable parties. This is actually good news; it means that the costs of recovering fair compensation may be higher. However, multiple liable parties in this type of case can also mean more complex legal issues, especially if some of the parties – as is often the case – are powerful corporations with entire legal teams at their disposal. 4) The injuries caused by construction site accidents can be catastrophic. Crane accidents in Miami, electrocutions, burns, nail gun accidents, and scaffolding accidents are some of the more common accidents to occur on the city’s construction sites. These accidents can cause a lifetime of suffering and medical costs. It often requires a personal injury attorney in Miami or your community to help you fight for the fairest compensation possible. 5) You will likely face reduced income as well as considerable medical costs. You may never be able to return to your regular job again. You may be unable to work or you may need to take on lower-paying work due to your injuries. Insurance will not cover the costs – but compensation from a legal claim may. Attorneys can fight for your rights so that if you are eligible more of these costs will be paid by liable parties – not by you. Can Florida-Wide Crane Safety Regulations Prevent Construction Accidents? It’s no secret that construction accidents are a major concern for the building industry. Across the country, as building projects heat up during the summer months, construction accidents are causing fractures, fatalities, burn injuries, head injuries, spinal cord injuries, and other disasters. Many of these injuries leave workers unable to return to work and create workers’ compensation issues as well. Despite careful regulations and safety awareness, construction accidents still are a major concern. This summer, many accidents have meant more focus on one specific piece of construction equipment: the crane. According to media reports, a larger-than-usual number of crane-related construction accidents have been occurring in New York, Miami and Las Vegas. In New York City, two crane accidents since March have resulted in nine fatalities. This is more than the total number of deaths that have been linked to cranes over the past ten years. Crane regulations have by state and city and some areas have no regulations at all. Those areas with no regulations rely on federal crane guidelines that are nearly four decades old. Experts say that these regulations do not reflect the technological changes that have occurred in the industry. Some states do not have accurate figures about the number of cranes operating in the state and do not require training for workers who use the cranes. *Traumatic brain injuries. These types of injuries occur when an outside force impacts the head in such a powerful way that the brain moves within the skull. Since the brain is made up of soft tissue, when the brain impacts against the inside of the skull, damage can occur. In addition, traumatic brain injury can also occur when an outside force impacts the head strongly enough to crack the skull and directly injure the brain. These types of brain injuries are often the result of physical violence, firearms, car accidents, falls, and other serious injuries. *Shaken baby syndrome. In this type of brain injury, the head is shaken so hard that the brain moves rapidly back and forth, damaging brain tissue and ripping apart the fibers. Although physical violence is most often the cause, adults can get this injury too, often as a result of violence or car accidents. This type of injury is also considered a traumatic brain injury. Construction sites pose a number of hazards and according to statistics, each day at least one person in this country is injured on a construction site. Both small construction sites and large building projects can be dangerous and can be the scene of accidents. Although construction accidents can include everything from roof falls, crane accidents, ladder falls, trench collapses, fires, explosions, vehicle accidents, compressed gases accidents, welding accidents, scaffolding accidents, heavy equipment accidents, to lifting equipment failure, one of the more common sources of construction and industrial accidents can seem innocuous. Something as simple as electricity causes a large percentage of all accidents on industrial sites. Electricity is often essential to power a construction site. In addition, virtually all buildings and construction sites require the installation of electricity at some point, meaning that most sites include exposed wires at some point. Many construction sites also include work in high area or on tall equipment, creating the very real danger of contact with power lines. Many construction accidents linked to electricity are caused by power line contact, inadequate ground-fault protection, inadequate path to ground, and improper use of equipment and cords. Buried and overhead electrical power lines can cause falls, death, and burn injuries. Many power lines carry very high voltage and many workers at construction sites use equipment or tools – including raised truck beds, scaffolds, metal ladders, cranes, long-handled cement finishing floats, metal building materials, aluminum paint rollers, backhoes, and concrete pumpers – which can bring workers into contact with power lines and can even conduct electricity. The ground is discontinuous or absent in wiring or electrical equipment, a worker may be electrocuted. 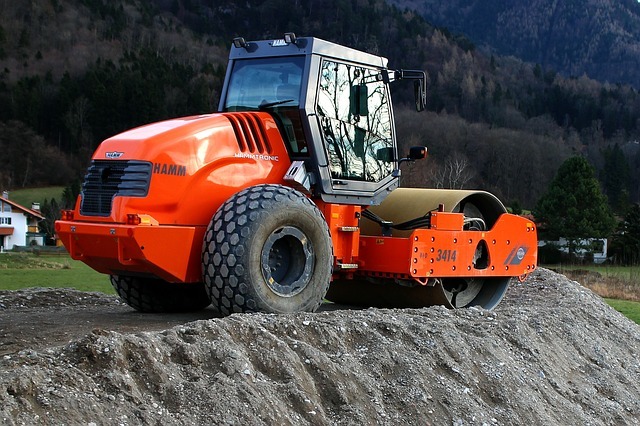 Ground can be disrupted by rough treatment of equipment, by faulty equipment, or even by extreme conditions. When this happens, fault current can travel through a worker’s body, causing burns and even death. Site management is responsible for ensuring that equipment is used correctly and manufacturers are responsible for ensuring that their equipment meets safety standards. Even simple equipment such as extension cords can cause electrocution, burns, falls, and other perils when used incorrectly. Seemingly safe equipment can become fatal to workers if not used properly or when it is not kept in good repair. Thursday, February 1, 2007, saw a construction accident that left three workers injured and more than 18 000 customers without power in the Florida Panhandle. During the afternoon, three workers were working on rolling metal scaffolding. The scaffolding rolled into a live 115,000-volt power transmission line. The line links a power plant and substations. The three workers have not yet been identified, but it has been reported that all three were airlifted to the University of South Alabama and to a Pensacola hospital for emergency treatment. The condition of the workers is not known, but all customers who lost power as a result of the outage had power restored by 6:20pm the same day, say officials.